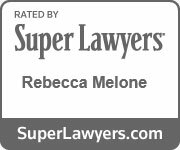 What Happens if a Person Dies Without a Will in Virginia? | Melone Law, P.C. Home Estate Planning What Happens if a Person Dies Without a Will in Virginia? Shockingly, some 55 percent of American adults have neither a will nor any other type of estate plan in place. This number has remained fairly steady for the past fifteen years and does not take into account the number of adults who have put medical directives in place—a number which has actually increased. Although medical directives, which explain what type of medical care you want to receive should you become incapacitated, are a good thing to have, they do not help your family with your financial affairs should you die suddenly. Among minorities, the number of American adults who do not have a will is even higher. Nearly three-quarters of Hispanic adults and about 68 percent of black adults do not have a will. In general, those adults who do have wills are over the age of 60. What Happens in the State of Virginia if You Die Without a Will? If you have a spouse and no children (or grandchildren, great-grandchildren, etc.,) your spouse will inherit 100 percent of your assets. If you have children (or grandchildren, great-grandchildren, etc.) but no spouse, your children will inherit 100 percent of your assets. If you have a spouse and children who are also the children of your spouse, your surviving spouse will inherit all of your assets. If you have a spouse and children (grandchildren, great-grandchildren, etc. ), at least one of whom is not a descendant of your spouse, your surviving spouse will inherit one-third of your assets. The remainder of your assets will go to your descendants. If you have no spouse and no descendants, but you are survived by one or both parents, then your parents will inherit your assets in equal shares, or if only one parent is living, he or she will inherit the entirety of your estate. If you have no spouse, no descendants, and no living parents, your siblings will inherit your assets, to be divided equally. If you have no spouse, no descendants, no living parents and no siblings, then any family members you do have, such as aunts, uncles, cousins or grandparents will inherit your assets, split equally between surviving relatives. If, in the unlikely event you have no family at all, then your estate, without a will to say differently, will go to the Commonwealth of Virginia. Any property owned with another person in joint tenancy or tenancy by the entirety. A “survivor” under Virginia law is someone who outlives you by at least 120 hours. This means if you and your mother are involved in a car accident (and you have no spouse or children), your mother must outlive you by at least 120 hours in order to inherit your estate. If you have half-siblings, they inherit only half as much as if they were “full” siblings. In other words, assume you have no children, no spouse and your parents are deceased. You have two brothers born to your parents, therefore they are “full” siblings.” You have one half-sister, who is your father’s daughter, but not your mother’s. Your half-sister is only entitled to half as much as your brothers. Any relatives conceived before you die, but born after your death will inherit as if they had been born while you were alive. Finally, there is no difference as to inheritance for your relatives who are not legal citizens of the United States and those who are. 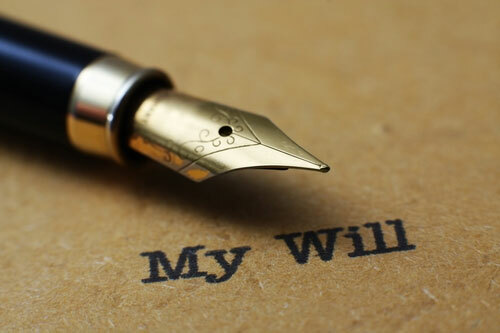 If you do not have a will or other estate plan in place, it is extremely important that you contact an experienced Virginia estate attorney who can help you get your financial affairs in order, per your wishes, rather than leaving it to chance, and the state of Virginia. Contact us today to discuss your case!